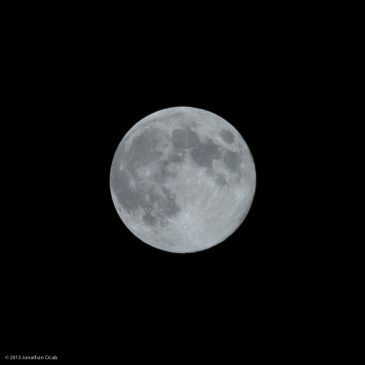 1:1 crop of the moon this evening. Taken using a Canon EOS M (mirrorless) and a Canon EF 70-200 f/2.8L IS II USM lens via the Canon EF-M adapter. 1/200sec, f/13, ISO 200.